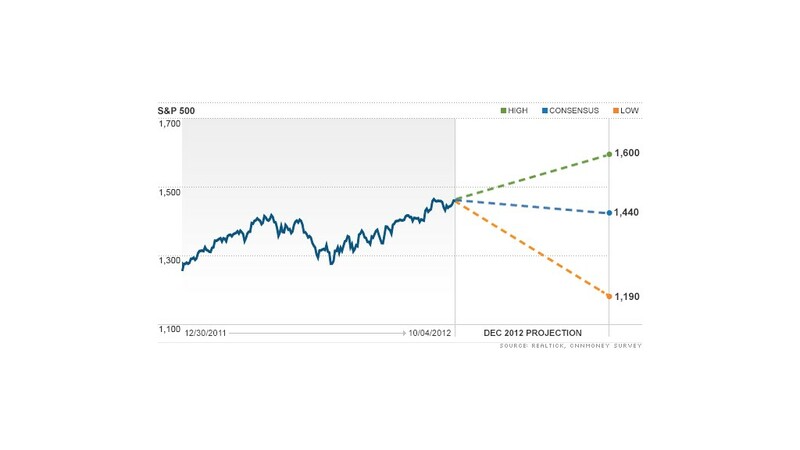 The S&P 500 will finish 2012 at 1,440, up a healthy 15% for the year but in the exact same spot where it started the fourth quarter, according to an exclusive CNNMoney survey. Despite a slowing global economy, political and fiscal uncertainty and ongoing turmoil in Europe, the U.S. stock market has delivered quite the performance this year, thanks in large part to stimulus efforts by the world's central banks. But experts believe the robust gains are now remnants of the past. In fact, according to an exclusive CNNMoney survey of 37 investment strategists and money managers, the S&P 500 will finish 2012 at 1,440, up a healthy 15% for the year but in the exact same spot where it started the fourth quarter. "I'm not suggesting for anyone to get out of their equity positions, but our view is that most of the gains for the year are behind us," said Cetera Financial Group markets strategist Brian Gendreau, whose year-end target for the S&P 500 stands at 1,450. The reason for the stagnation? According to the strategists and money managers surveyed by CNNMoney, there are a number of hurdles putting downward pressure on stocks. The first major obstacle is the Nov. 6 presidential election. Leading up to that day, stocks will likely trade in a narrow range, as everyone from policymakers to investors is holding his or her breath, said Jack Ablin, chief investment officer at Harris Private Bank, who is also predicting the S&P 500 will end the year at 1,450. Once the White House winners have been declared, volatility will only increase as the next hurdles pop up. "After the elections, lawmakers will have to face the fiscal cliff, and they only have a handful of days to debate and pass new legislation before the end of the year," said Oliver Pursche, president of Gary Goldberg Financial Services, who expects the S&P 500 to finish the year at 1,435. Congress has until midnight on Dec. 31 to prevent a series of tax cuts from expiring, and to keep funding intact for hundreds of federal programs. As long as Congress remains noncommittal about how to avert the fiscal cliff, "at best, it will be a turbulent time for the markets," said Pursche. Headlines out of Europe will also add to the volatility, said Gendreau. While the political and economic uncertainty that's currently plaguing the United States and Europe would typically trigger a market sell-off, experts say intervention from the European Central Bank and the Federal Reserve have been helping keep markets afloat -- though it's not enough to keep the rally going. "All the liquidity they're slushing out is keeping a floor underneath the market," said Pursche. "As a result, we're not expecting to see a material decline in stocks. 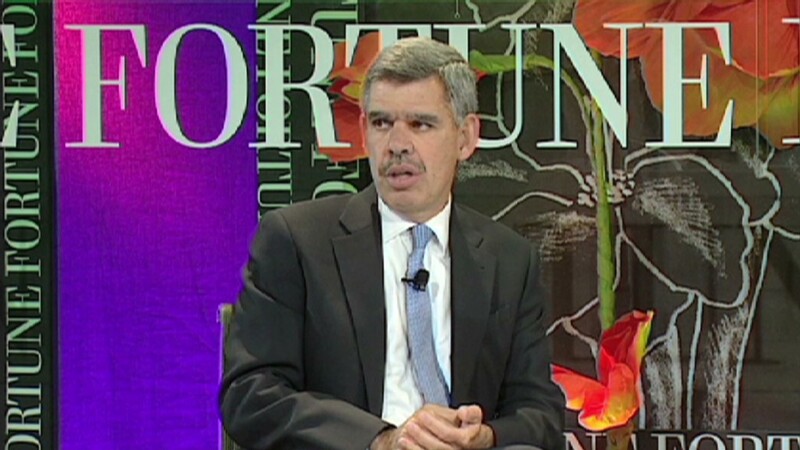 But we also don't foresee any catalyst that could propel the market significantly higher."